The Litepanels Brick builds on the legacy of the original MiniPlus which revolutionized the lighting industry. 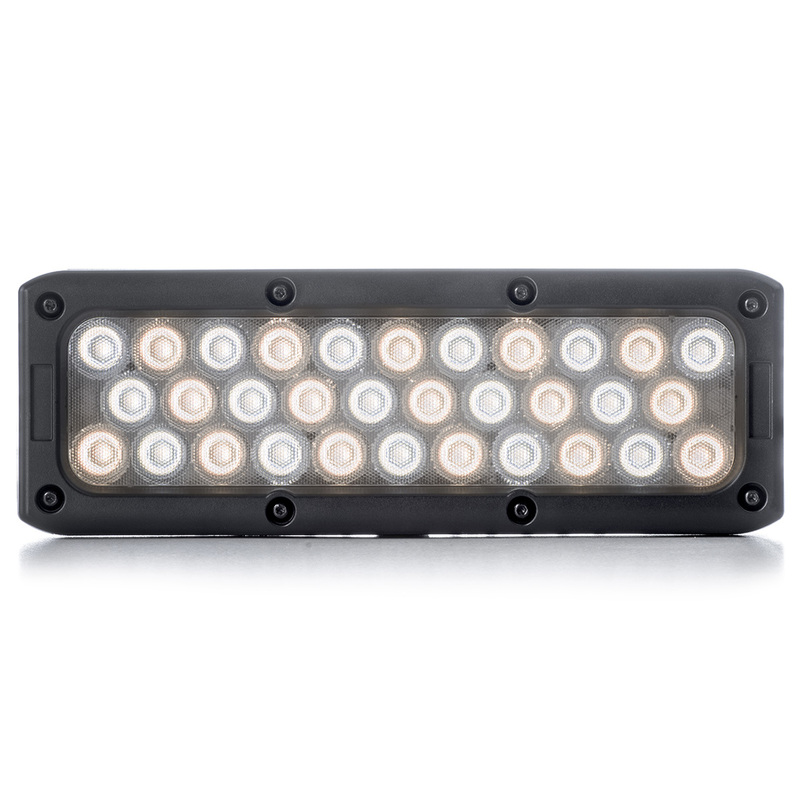 Now more robust, Bi-Color and IP-65 rated, the Brick is the perfect on-camera solution for ENG camera operators on the go or needing full spectrum lighting during wet conditions. Following the Litepanels familiar rectangular form factor, the Brick is designed with select premium quality, high CRI, surface mount LEDs and paired with custom designed TIR optics. These tightly binned LEDs and fine-tuned optics provide the Brick with superior color reproduction and a light output that is up to four times brighter than the original MiniPlus. This higher intensity results in a longer throw and illuminates a wider area, allowing the Brick to compete with strong exterior light sources or illuminate a larger area effectively.